Soccer has the power to change everything. WE BELIEVE VALUES EDUCATION CAN END THE POVERTY CRISIS IN COLOMBIA AND SOCCER IS OUR TOOL OF CHANGE. GIVE MORE OPPORTUNITIES TO VULNERABLE CHILDREN TODAY! 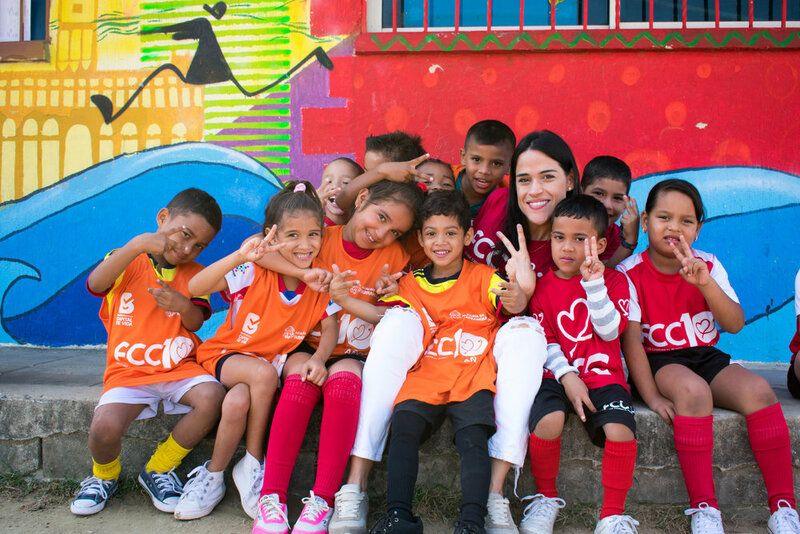 Soccer For Peace supports initiatives in Colombia so that children and young people in general, can get access to quality education and develop values and life skills through our soccer pedagogy. We believe values education has the power to end the poverty in Colombia! Sponsor a youth for only $1 a day! A $365 donation guarantees a child's participation in our programs for a full year. Our children are waiting for a sponsor like you! 1. Quality education for children from vulnerable populations. 2. The opportunity to build a better present. 3. A solution for poverty. Do you want to end poverty? Let’s start with kids. Our children learn the fundamentals of soccer technique, strategy, and play. In addition, they are trained in the “soccer for peace” our pedagogical methodology. We are a Miami based nonprofit that uses the pedagogy of soccer so that vulnerable children and young people in Colombia learn to make good decisions for their future, and develop tools that allow them to get out of the cycle of poverty. We have developed an innovative impact model that provide solutions to solve social problems. Our goal is to develop children’s life skills using soccer. When a child receives the opportunity to develop his human potential, this can change his whole life and that of his community. Your support helps break the cycle of poverty. Together we can develop community social impact strategies, that generate excellent results. Education in values and life skills allows children to develop a life project that changes their world, family, community and city. Sponsor a youth for only $1 a day! All people deserve to have a decent life, far from the pitfalls of poverty. Children learn the fundamentals of soccer techniques, strategy and play. In addition, they are trained in our pedagogical methodology "Soccer For Peace". A child or young person who takes good decisions of life, will never fall in the vices nor in the delinquency. 1 out of every 3 Colombians lives in poverty. Programs focused on entrepreneurship and empowerment break the cycle of poverty. Our work involves 40 communities throughout Colombia, using football as a tool for children and young people to learn to make good decisions. SEE MORE. Is sponsorship a monthly giving commitment? Super League! Celebrating soccer as a peace tool. SOCCER FOR PEACE AND MANCHESTER CITY FC, TOGETHER FOR THE COMMUNITY IN COLOMBIA. Futbol Con Corazon Is The Winner of the Sport For Social Inclusion Award! When a child joins Fundacion Futbol Con Corazon, she knows that she will not be playing “soccer as usual.” The “soccer for peace” methodology calls for mixed girl-boy teams in various age categories, a practice that is alien to the social context in which the children live. On the occasion of the XVI World Summit of Nobel Peace Laureates, organized for the first time in Bogota, Colombia, from 2 to 4 February 2017, the first Act for What Matters MOU was signed between Peace and Sport and the organization “Fútbol Con Corazón” based in Barranquilla, Colombia. 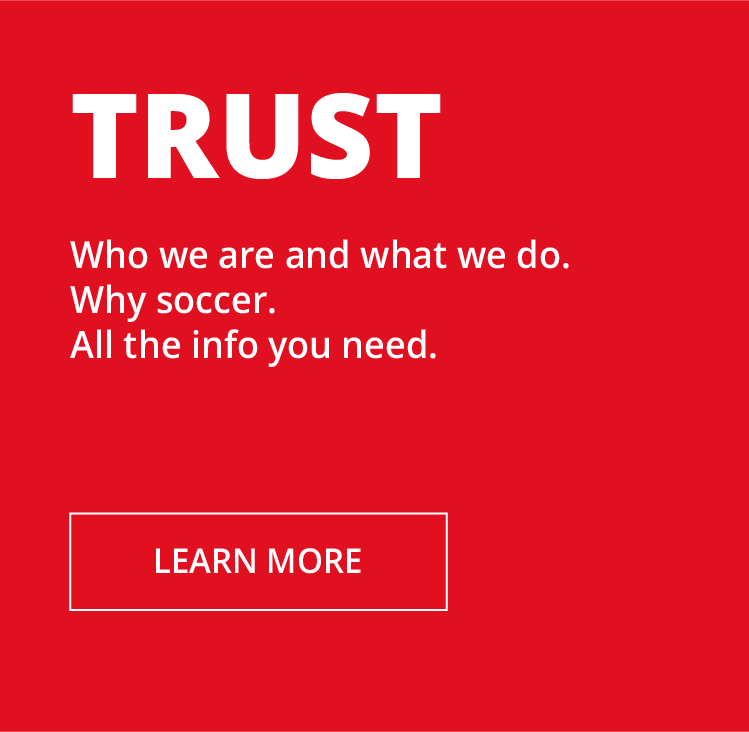 Futbol Con Corazon Is Now Part Of Streetfootballworld! RADAMEL FALCAO JOINS FÚTBOL CON CORAZÓN! District & Uruguay: United to score goals for equality! NOT READY TO SPONSOR YET? 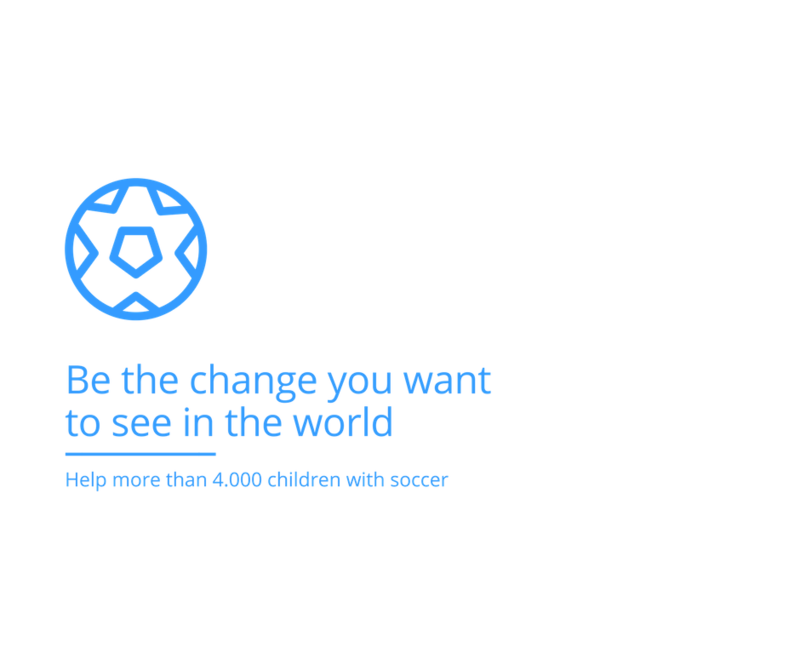 Join 10.000+ subscribers who get our monthly emails and learn about sport as a tool for social development and peace and our greatest news. You can unsubscribe at any time.